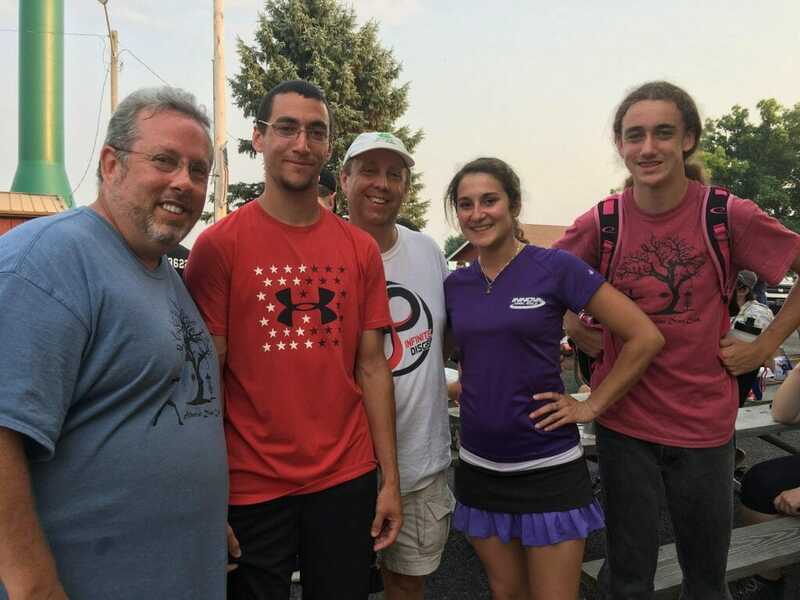 This is a message shared by Bill Shaw with Ultiworld Disc Golf and Ledgestone Insurance Open Tournament Director Nate Heinold shortly after the tournament earlier this month. It was edited for length and clarity. My name is Bill Shaw and I have a great Ledgestone story to share. I’m a 58-year-old divorced father with two sons, Chris, 15, and Billy, 25. A few years ago we bought a disc golf starter kit and our worlds changed. Today, my two sons and I play every week. It would be every day if time and weather permitted. Last year we introduced my brother, Mike, to the game and he was instantly addicted. We live in four different houses in the Chicago area, two hours apart from each other, but still find a way to play as much as possible. We love it. 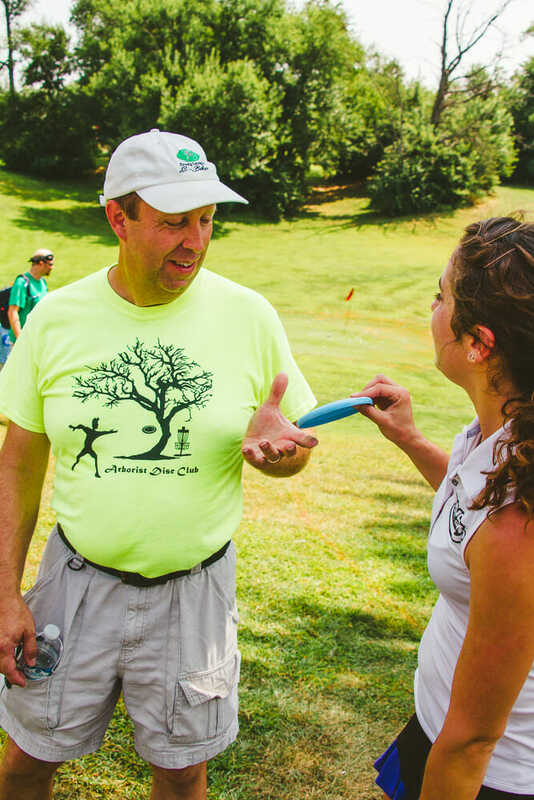 In the beginning, we joked about how our discs were magically drawn to trees, so we dubbed ourselves the “Arborist Disc Club.” We’ve since traveled and played courses all over the country. Last year we came down to spectate at Ledgestone for one day and our love of the game reached a new level. Everyone welcomed us, our heroes from YouTube found time to talk to us, and we discovered we were part of an extraordinary community. 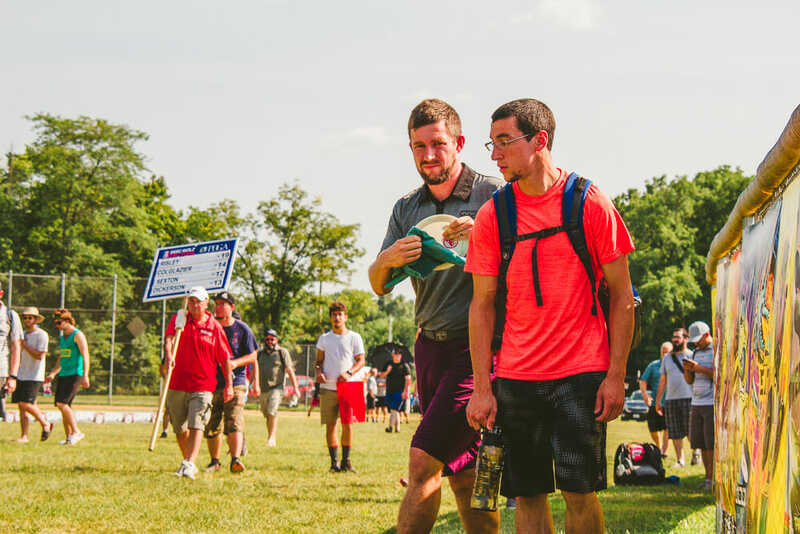 We had a great time and we couldn’t wait until this year’s Ledgestone to see our friends, make new ones, and watch some amazing disc golf. My son, Chris, and I came down to Ledgestone on Wednesday, checked in as spectators, played a round at Washington Park, and headed to Sunset Hills for the clinic with Ben Callaway and Tim Barham. We, unfortunately, missed the first round of FPO Thursday but made it to Lake Eureka to watch hours of amazing MPO play. My other son, Billy, came down Thursday night and had this crazy idea he was going to caddie for Nate Sexton the next day. We gave him crap about the slim chance that he could pull this off. Friday started early, we followed the top few FPO cards at Sunset Hills, and then headed for Lake Eureka. Somehow all it took was Billy asking and lo and behold he got to caddy for Nate, who had a great round. They agreed that Billy should look him up again Saturday about caddying. So here is when my story gets even more interesting. Friday night my brother, Mike, came down and the “Arborists” were all together. After hearing about Billy caddying for Nate, Mike set out to caddy for Jessica Weese. We all talked about how we could bring the Shaw family luck to two of our favorite players. It still seemed far fetched, but it was cool to dream about. Mike asks Jessica if she’d like a caddy for round three, and she hands her bag over; Mike is her caddy for the rest of the weekend. Billy continues to caddy for Nate as he continues to play well, and by the next day, both Jessica and Nate are Ledgestone champions! I don’t want to take anything away from Nate and Jessica’s incredible play, and they both played awesome, but we’d like to think that our family channeled a little of our good karma into their games. Never underestimate the effect of a good caddy! We had the time of our lives and wish we could turn the whole world on to this amazing game, at least those cool enough to get it. Comments on "A Tale Of Two Champion Caddies"